About a week ago a strange story broke that looked at what a possible Xbox One smartphone release would have to offer to the market, and if it was to ever happen (highly unlikely) then it would play on its games console sibling to help improve Windows Phone 8 sales. 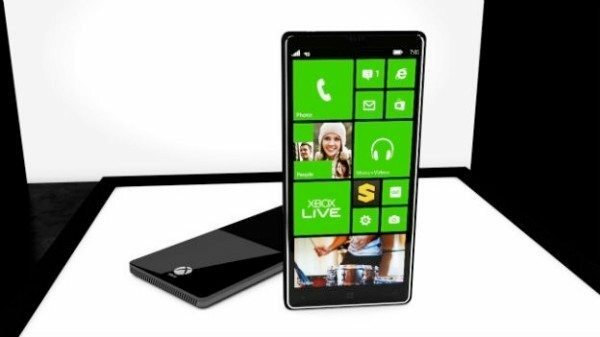 T3 were the ones who thought up this Xbox One Smartphone concept and it was no secret that they would pick Nokia to work on the handset, and to turn it into a real product. It is rather sad when you have decent looking Windows Phones and are still unable to shift the sort of volumes they would like. Possible Xbox One Smartphone features revisited — We thought we would have another look at those specs that were shown to us last week, and we have to say they are pretty impressive, but what would you expect from a concept phone based on an upcoming next-gen console? You can see from the image and video below that the Xbox One smartphone design complements the console with its two-tone gloss and matte finish. It is obvious there would be some sort of Kinect camera built-in, but for what reason we can’t imagine. Speaking of camera, the concept suggests a 15-megapixel shooter. Other Xbox Smartphone specs could include a 5-inch display, Tegra 4 processor, which is rumored to be used in the upcoming Surface RT 2nd generation, 64GB storage and 4GB of RAM. This is an insane idea, but a good one as well because this would have been some awesome marketing for Microsoft if they were to launch their Xbox One Console and a smartphone to help complement it and increase Windows Phone sales, although two huge payments at once might be too much for many of you. i would love to play xbox one games on a phone.